In recent years, more and more companies have been embracing a design-centric ethos. As a result, user experience design has acquired enormous momentum. In order to fulfill the rising demand of UX professionals, world-class programs are being offered by design schools around the world. Just a few months ago, I graduated from one such program at the University of Michigan, Ann Arbor. During my two years of studies in the User Experience Design Program, I had the opportunity to intern at Cooper, The Understanding Group, and The Design Clinic, a design service initiative led by the School of Information. While being exposed to a professional practice alongside a student perspective by taking design courses, I realized certain gaps between the real world and the academic world. The existence of these gaps used to be one of the hot topics I would discuss with my peers. Today, as I look back at my experiences through the lens of a user experience designer, there are a number of gaps that are easily recognizable. At my school, a design challenge event also known as a “Design Jam” is very common. It serves as an engaging platform for students to collaborate and brainstorm solutions to interesting problems. Design Jams are also a smooth escape for students from a hectic semester with a promise of free food (see Figure 1). Like a lot of my friends, I participated in quite a few of these Jams. From designing a more “visible” Google Wallet, to a futuristic meeting room, Design Jams always had a competitive atmosphere and participating in them certainly shaped me into a better team player. Figure 1: Free food and Design Jams go hand in hand! But after a couple of challenges, I realized that I was being deprived of the very basic principles of user experience design. These challenges rarely required us to conduct user research with the people for whom we were designing the solutions. Instead of empathizing with users and understanding the real problem, we were falling prey to a pretentious competition. We were not looking for answers to the right questions—we thought about “how” rather than “why”. Everyone, including myself, was trying to come up with the coolest idea only to impress the judges of the event. And more often than not, these judges were representatives of companies looking for a diamond in the rough. Our design decisions were not really catering to users’ actual problems and it felt like I was disrespecting the user-centered design process. As designers we often come across situations when we have to choose one idea over the others. While interning at Cooper, I learned the importance of the decision-making process not only at a feature level, but also at a much more granular level of interactions and micro-interactions. The biggest takeaway was that for a design to be successful, all of the design decisions we make must be based on end user—and in some situations—stakeholder requirements. This not only helps in building the right product but also in justifying the design. In my experience with Design Jams and most of the courses I had taken, I sensed a lack of attention toward the relationship between design decisions and research findings. Students often get carried away in delivering a “cool” design rather than one that is usable and informed. Of all the courses in the design program, the most challenging were those that required us to deliver a final project presentation. During the presentations we were expected to walk the audience through our process, the problem statement, challenges faced, and the solutions we came up with (see Figure 2). After doing a handful of these presentations at school, I felt confident and prepared for a real-world client presentation. My confidence was soon put to the test. During my summer internship I had an opportunity to present some of my designs to clients. During the preparation, as I observed my teammates tailoring their portions of the presentation, I soon realized how different client presentations were from those at school. There was a disconnect: I was preparing points on the process I went through while the rest of the team was getting ready to show how the new design would make the user’s life easier. After a couple of client interactions I learned an important lesson: the clients don’t want to hear about the process of how you went from user research to hi-fidelity mockups. They want to hear how well the design solves their problems. In fact, they would rarely want to listen to the designers’ process from concept to finalized design. Client presentations are less about the designer’s journey and more about communicating the user’s journey through the design solutions. Figure 2: Design presentation in front of peers and professor. It is not too hard to figure out why presenting for the first time to a real client was so tough even after having done plenty of presentations in school. First, the audience for project presentations in school was primarily my peers––who were competing against me for a better grade, and a professor––who was going to give me grades. Secondly, in a process-focused curriculum, like all of my peers I ended up describing the process in greater details rather than discussing how the design decisions would affect the users. As a result, I never really presented designs as I would for a real client. There was less focus on what was being communicated and to whom and more on receiving high scores. I like to think that communicating design is as important as the design itself. Designing software excites me, but what excites me even more is applying the same principles of user experience to the design of objects in the physical world. On one school project we worked on designing a spice dispenser for visually impaired people. It was interesting to see how design concepts of feedback, mental model, mapping affordances, and visibility apply to physical objects in the same way as they would to a website or mobile app. We performed usability tests on a 3D printed model of the dispenser with a group of visually impaired users and received really helpful insights into the user behavior and patterns. We also got feedback from industry experts, professors, and peers with regards to materials, internal mechanisms, feedback cycles, and more (see Figure 3). Unfortunately we received all of this feedback during our final project critique towards the end of the semester. While part of our final report had an account of this feedback, it was never used to better our original design. Even though the feedback was extremely meaningful, without putting it to work for the design, it was ultimately not valuable or productive. Figure 3: My teammate getting feedback on the spice dispenser project during a Design Exposition. Design critique is constructive only if the feedback can be put to use. It is well accepted within the industry that an iterative process results in a better design. I find it surprising that like the spice dispenser project, most other academic projects had the critique session at the end of the semester, leaving no room for students to redesign and rebuild. When I was a design consultant at Design Clinic, it was a young design service initiative led by students. Project management protocols had not yet been adopted, and there was room for students to experiment with concepts learned in school. Here, I worked on a college planning and tracking application for high school students. Both the client and my team agreed upon a process to achieve the deliverable of a mid-fidelity mockup of the mobile app. With the target set and the schedule outlined, we took a deep-dive into the project to work out a good solution. We made a mistake at the start in not paying enough attention to its documentation. As a result, we spent extra time having to recall and document decisions that had been made almost a month earlier (see Figure 4). Figure 4: My team trying to recall undocumented ideas discussed a while ago. I learned that documentation is a crucial part of the process that needs to be done at every stage. Plus, it’s not just about documenting only those sketches and ideas that make their way to the final design, but of keeping a record of all the rejected ideas as well. Because there will come a time when the client will discuss an idea that you had rejected long ago, but you don’t remember why. With most academic projects, documentation is the last assignment for the semester, a final report for upload to the class website. Needless to say, many students start putting the documentation together only on the last day of the project. In my industry experience, I had to hand over designs to visual designers, developers, and business analysts. And for each of these instances I had to document my designs for easier communication. Over time, I have come to realize that learning design processes is extremely important. But it is not sufficient to groom a budding designer stepping into the industry. This account of my experiences and observations is meant to kindle a conversation among design students, professors, and industry professionals on how to make UX education even better than it is today. Perhaps one way of providing students with a more holistic experience of the design process would be having them work on projects that span multiple courses, each of which teaches different aspects of the process. By having projects centered on actual users and real problems, the focus can be shifted from winning good grades to winning the hearts of the users. Malpani, R. (2015). UX Education: Some Missing Pieces. User Experience Magazine, 15(4). My perspective is that graduate programs in HCI tend to fit the bill of incoming students who already demonstrate an eagerness to learn and investigate more about what goes on BEYOND the design process, e.g. research, human behavior, maker movement, etc. In short, we’re nerds in our own way, and we don’t mind spending a year or two immersing ourselves in such an environment. In fact, no one with an incumbent penchant for design and design thinking needs a degree of any sort in HCI or UX in order to break into the field and “make it big.” With that said, our graduate program is still shaping a compromise between the professional component and the academic components of our curriculum. The issue becomes further segmented as people discuss undergraduate vs graduate programs (i.e. I believe HCI/UX is better as an undergraduate field of study due to its inherent interdisciplinary reach and its ability to fulfill the sundry liberal arts components that an undergraduate student ought to experience). I’d like to hear other people’s thoughts on this. If I were to restart my college education anew, I would have prescribed myself to an undergraduate program in HCI, as some programs currently strive towards under the auspices of the cognitive psychology and human factors folks. (Though this is not to say I didn’t appreciate my undergraduate degree in architecture)! After working in industry, it would have been ideal to have discovered what I wanted to specialize in as a long-term career. If it turned out to be UX design, I would choose a program that looks for students who appreciate depth and mastery, as opposed to being the jack-of-all trades, “unicorn” UX’er. As an aside, it’s my recommendation that budding UX’rs expose themselves to classes in the art and architecture departments. Anyways, thanks for posting your article. 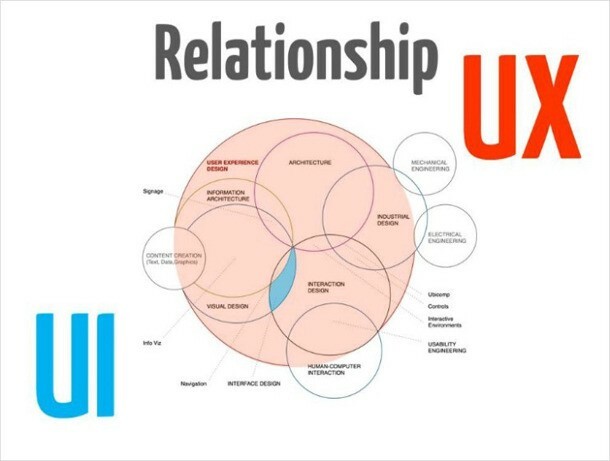 As a current student of the same program and specialization, I empathize with many of the realities and disconnects that exist between the curriculum and the UX field. I hope this gains traction in the academic circles. Thanks for your response. Some of the points that you have mentioned are interesting, especially about the benefits of HCI as an undergraduate degree. You are absolutely correct, graduate HCI program at the University of Michigan is still shaping. The point of this reflection is only to help (in my own little way) the school shape the program better. What I am looking forward to is a positive discussion among faculty, students and industry folks around this topic. While it may be true that someone who has a passion for design, doesn’t need a degree to prove, in my opinion a degree is not just for you to prove your capability and break into the industry. Getting a formal training in any field of study is a way to learn more and dive deep into what you like. A job after that is only a side-effect of what you have learnt. All in all, really good points made by you. Great read. Having pored through a draft version of the same much earlier – I knew what to expect. At a broad level I think your arguments are extremely well laid out and I agree with all the individual points you have made. A couple of things I thought were worth bringing out. 2) Design Jams are a waste of time – for the most part (apart from the free food of-course). But if evaluated at a granular level, I think there are certain skills we can gain from it. For starters – to be able to think on your feet, since they are generally time bound and specify deliverables for the same duration – it prompts us to think a tad quickly (although no consideration is given to the user and his/her goals and that we begin way down the design process). In addition, there is a certain deal of team work involved – basic brainstorming, ideation, evaluating pro’s / con’s etc. These are valuable skills although the environment and the mood in these jams rarely prompt any learning. I have scrutinized two very fine points because I agree with the article as a whole. Great job. Both of your points are extremely good findings from what you have experienced. 1. To your first point, I completely agree with what you mean by the difference between a ‘design school’ and an ‘information school’. The program that you and I graduated in at the University of Michigan doesn’t have its roots in a pure ‘design school’ environment. Plus, as you say, it is more Human-Computer Interaction than UX. But then why is it that most students who graduate in HCI hunt for a UX job? I am not suggesting that the school should mold a program in a way that caters to the needs of industry. The larger idea behind the article is to rethink about the program in a more pragmatic way. And like Michael Nguyen mentioned in his comment, the HCI program (specifically at the University of Michigan) is evolving. 2. With regards to ‘Design Jams’, yes one definitely learns to think quickly and brainstorm in a team setting. These have been my biggest takeaways from such competitions. Although I very strongly feel that designing for ‘people’ is much more meaningful than designing for an imaginary problem. What is ironic about these design exercises is, the very organizations who make students do a ‘User-less’ design exercise, are in fact trying to hire ‘User Experience’ designers. Great points Vaishnav! Your perspective made me, and I am sure all the others who have read the article and your comment, think even more deeply about aspects around UX education discussed thus far. Thank you for this. It was really insightful and I will keep it in my mind as I continue my early career in UX. I’m from a science background, having worked as a Doctor for 3 years, so imporatnce of documentation is not a foreign concept. However, its easy for me to disregard bad designs and not keep them, but as you have explained, it is useful to keep them. I am glad you enjoyed the article and found it insightful. As far as discarding bad ideas/designs during the initial phase of design is concerned, I have had an experience where I regretted not having saved some of the discarded sketches. In a client presentation, on seeing the final proposal some of the client members asked questions – the answers to those were in the discarded sketches. While you can always say “we thought about it”, showing some of those sketches and backing them with reason why you discarded them, would make the case more powerful. I feel, when you are in the process of designing, it is very easy to forget to document as you go. But a conscious effort in saving all the artifacts can be very helpful in the long run! Would love to hear your experience of learning UX, given your background in Medicine and transition into design.